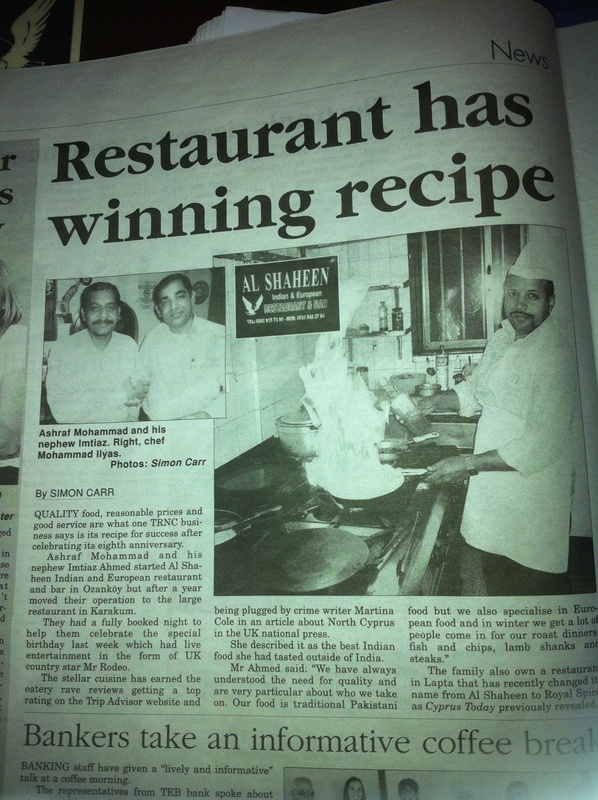 The following is an article that was published by Cyprus Today about Al Shaheen in Karakum, Kyrenia. This entry was posted in Media reports and tagged Cyprus Today, Entertainment, Good Eating, Indian Food by alshaheen03. Bookmark the permalink.